HawkBudget is not a time-tracking tool. It reads your worklogs from JIRA. 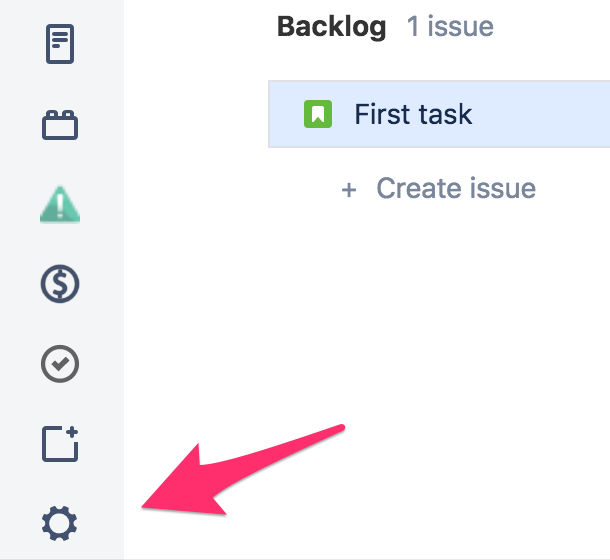 This means that your worklogs are safely stored in JIRA and they will be there even if you decide to stop using HawkBudget. This also means, though, that if you use an alternative time tracking tool and not JIRA's default one, HawkBudget may not work. Note that Tempo Timesheets are fully supported though. 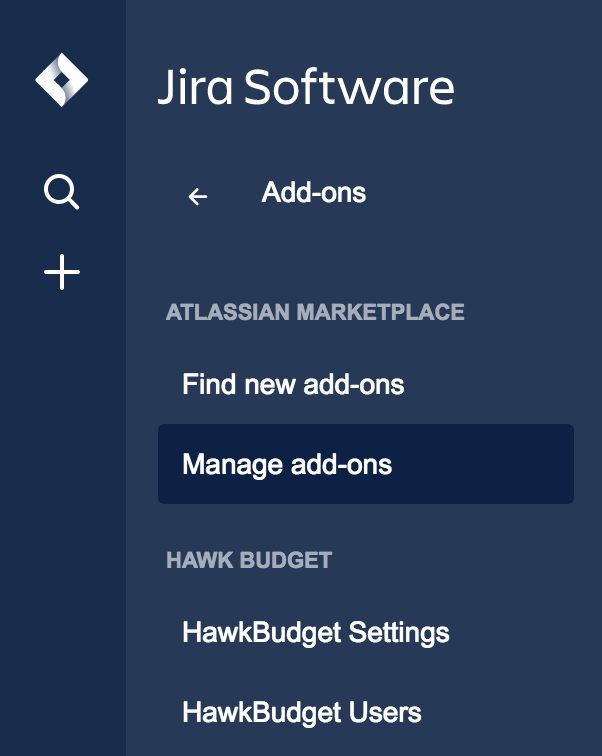 Visit HawkBudget in the marketplace at https://marketplace.atlassian.com/1216500. Then click on the "Try it Free" button to install HawkBudget and start your free trial. Select default currency and a few other useful options. Make sure to select the groups allowed to view the HawkBudget report and the expenses of all the users. Setup the man-hour cost of each member of your team. The "Update records up to now" option allows you to update the cost of a person for previous worklogs, but only for worklogs after HawkBudget was installed. In order for a project to appear in the HawkBudget report, you need to enable it. Open your project and click the gear icon at the bottom of the side menu. Then, select the HawkBudget Settings. Once there, enable the "Track Budget" and optionally set the fixed budget of the project so you can easily see in the report if your are on/off budget. Once your members have logged some hours on their tasks, you will be able to start monitoring the cost of your projects in the HawkBudget Report. Go to your project, click the "Reports" icon from the left side menu and find the HawkBudget Report under the "Forecast and Management" section. Users can log their expenses, such as trips or dinners. In every project there is a new icon in the sidebar of the project that opens the HawkBudget Expenses page. Each user can see only his/her expenses. Only the admins can view everybody's expenses. Expenses are summed and displayed in the report.